While most of the poker world's attention is focused on Las Vegas and the WSOP there is plenty of decent tournament action on offer away from Sin City. In fact many of the UK's top grinders have dodged the seemingly endless rain at home for the sunnier climes of the Costa del Sol and the latest leg of the UKIPT. The UKIPT has once again partnered with the Spanish Estrellas Poker Tour for a double event in Marbella where a guaranteed prize pool of €500,000 will be awarded. The first flight in the €1,000+€100 buy-in Main Event is off at noon with day 1B following at the same time tomorrow. A busy side event schedule includes High Roller, PLO, Turbo events as well as the Marbella Poker Cup. 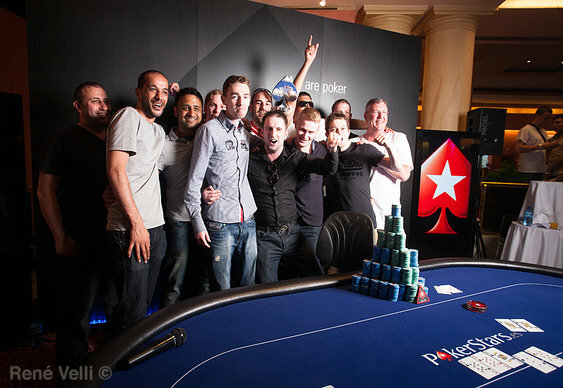 Ludovic Geilich took the honours in last year's UKIPT Marbella Main Event. Glasgow's finest pocketed €130,000 after outlasting a massive 763-runner field. Join us over the next few days for full updates from Marbella. Qualify for future UKIPT events at PokerStars. Sign up using the code 20FOR10 and you'll receive £20 of free play.